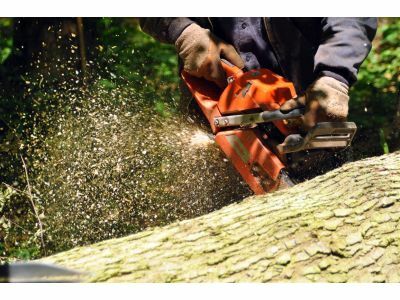 Are you looking for an affordable, tree trimming and tree service in Bokeelia, Florida that can handle the various challenges and situations come caring for the trees on your lake property? With a staff that has had years of experience and expertise in services including tree trimming, tree removal, building, view, and land clearance, free estimates, and 24/7 storm damage control, we are the go-to tree service in Venice that you can count on. Are you looking for more protection and a significant improvement on your property’s value? Have areas of your property shrunk, or have been taken over by the hands of time? Our building and land clearance services are here to help. At our Venice tree service, we provide businesses and individuals with complete building and land services for any size lot. We believe a project is never too large for our company to handle when it comes to our building and land clearance services. At Young’s Service, our customers in Bokeelia know that routine pruning for tree health protects their investments. Our entire tree pruning is done with branch collar cuts for proper healing and no stubs. With spurless climbing, this includes ornamental hand pruning, balanced crown reduction, and wind sail reduction for top heavy trees. We also do fruit tree pruning to improve yields for the backyard gardener. All tree pruning is done with branch collar cuts for proper healing and no stubs. With the various services we provide here at Young’s Tree Service, we have proven we are the premier provider of tree service in Bokeelia, Florida. If you have any questions regarding our tree and building & land clearance, contact us today for more information.